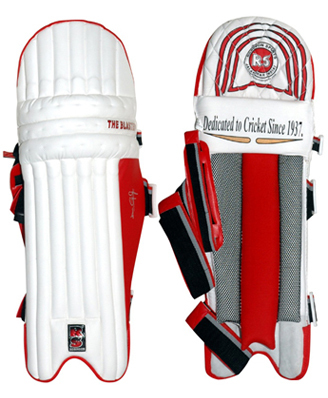 New for 2007 - 08, Premium quality Batting Pads made from top grade PU, Plastozote Padded unique ultra modern styling, ambidexturous design, unbelievable light weight, leather in step, mind blowing graphics. 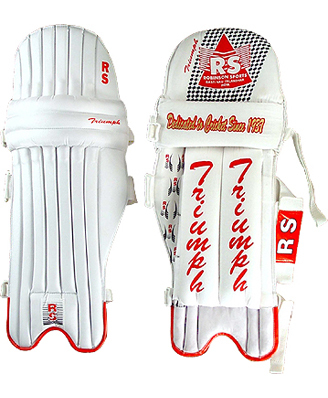 New for 2006 - 07, Premium quality Batting Pads made from top grade PU, Plastozote Padded unique ultra modern styling, ambidexturous design, unbelievable light weight, leather instep,stunning graphics. 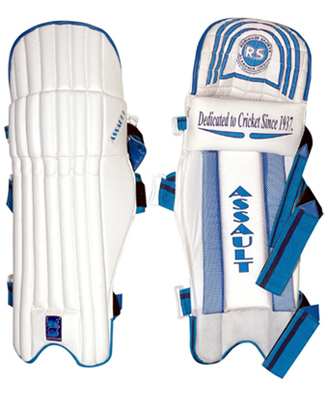 New for 2006 - 07, moulded, high density foam protection, New comfort inner padding, ambidexturous design. New for 2006 - 07. 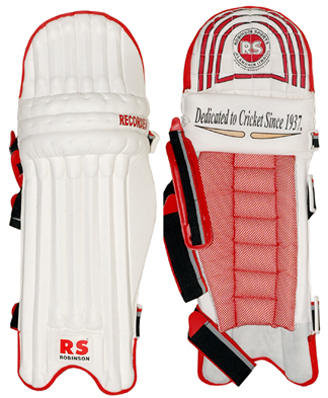 Another addition in our range of Batting Pads, 'TYRE TREAD' design on knee roll for comfort & protection. 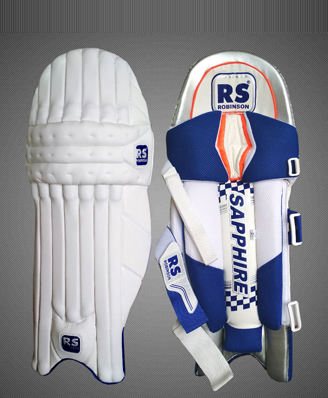 Top Grade imported wipe lean PU front plastozote padded, very strong padding in the bolsters. 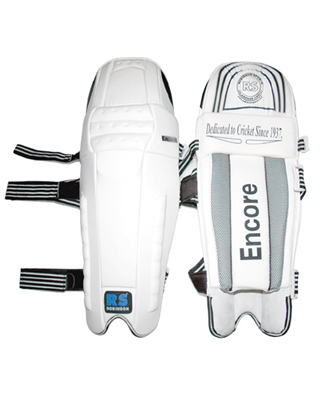 Top of the Line Professional quality Ultra Light Legguard made from very durable wipe clean imported PU. High Density Rounded Plastozote in the Bars for optimum protection and light weight. 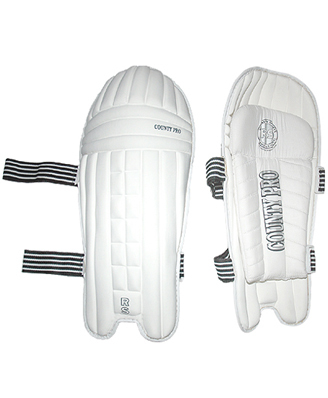 Extra Protection on on the leading leg, Butterfly design Centre Strap. 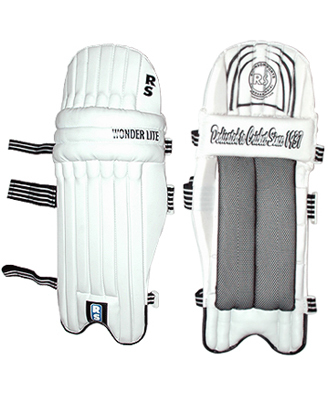 Strong Padding in the bolsters. 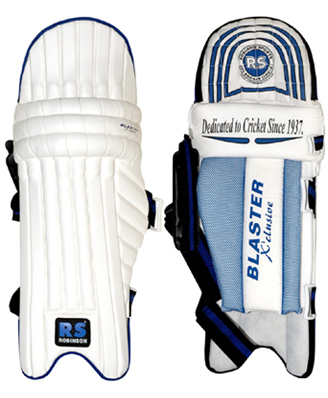 Korean P.U.Batting Legguards with three Bubbled Bars, Plastozote Padded with extra protection on the leading leg, 2” straps at calf and ankle, very light in Weight. 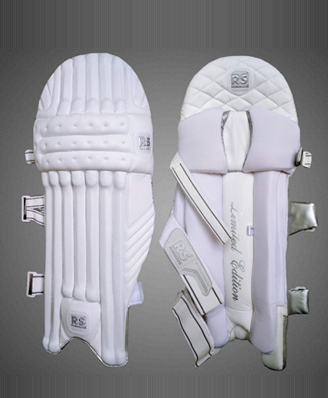 Batting Legguards specially disigned with P.U. 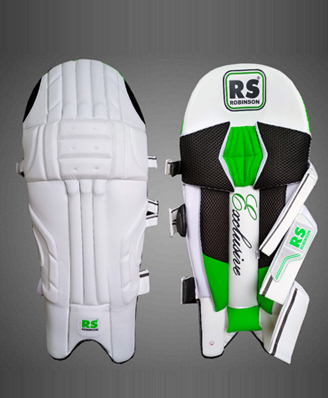 front, high density rounded plastozote padded with extra protection on the leading leg, very light in weight , 2” straps at the calf & ankle. Top Grade Korean P.U. 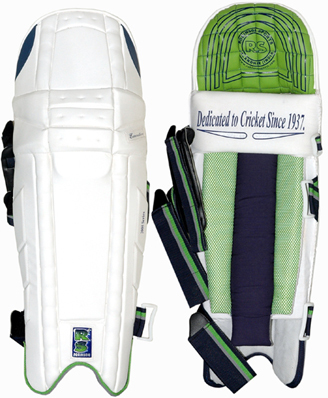 Batting Legguards with new eight bar design, Proud front, Plastozote Padded, with new innovative padding. 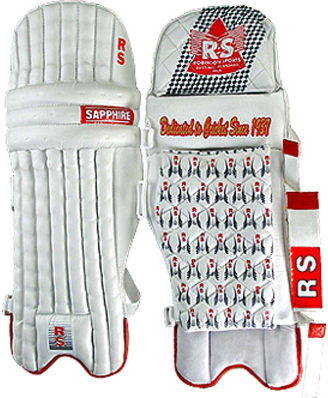 2" straps at calf & ankle, extra protection on the leading leg. 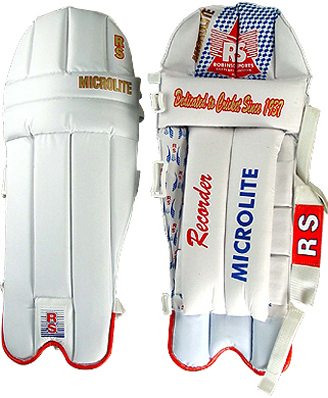 New Model Batting Legguards of P.U., Plastozote Padded with special towelled padding at the back for sweat absorption, extra protection on the leading leg, 2” straps at the calf 7 ankle. 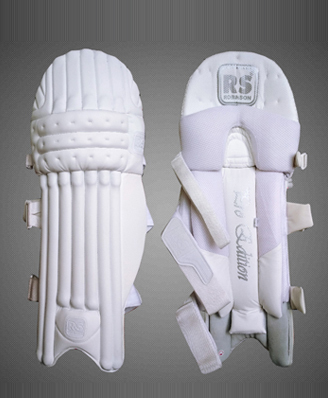 Lightweight Batting Legguards made of easy Wipe clean IPU, 7 bar plastozote padded front, nicely cushioned bolsters for optimum protection, extra protection on the leading leg, 2“ strap at the calf. 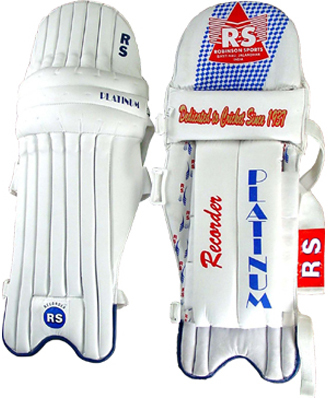 3 bar IPU Faced Batting Leguards, feather Light in weight, nicely cushioned to ensure proper protection, an ideal pair for club 7 School level Cricket.